City Treasurer Kurt Summers proposed on Wednesday that $57 million in excess “portfolio earnings” generated by his office be used to stop the bloodshed on Chicago streets — by investing in long-neglected inner-city neighborhoods. Mayor Rahm Emanuel’s 2017 budget included a $100 million “Catalyst Fund” to bridge the funding gap outside Chicago’s thriving downtown. Now, Summers wants to sweeten the pot — using the $57 million in 2016 investment returns he claims to have generated over and above the $68 million assumed in the mayor’s budget. The treasurer’s office manages the city’s $7 billion investment portfolio. 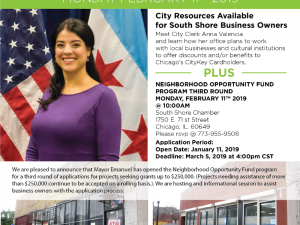 That would mean the fund would launch with $157 million and have more to invest over a three-year period in projects that create jobs in gang-infested neighborhoods with high concentrations of poverty and unemployment. Summers said there’s a reason why he announced the initiative at the Bronzeville Incubator, 300 E. 51st Street. The unemployment rate in Bronzeville is “four times higher” than the rest of the city and the median income is “less than half,” he said. And last weekend, there was a violent attack across the street. “You can’t police your way out of poverty. The roots of our problems are economic. We can’t solve them without economic solutions,” Summers said Wednesday. issue facing our city,’ ” he said. Last fall, the City Council’s Progressive Caucus demanded that the ordinance creating the Catalyst Fund include an ironclad guarantee that the money will be invested in neighborhoods truly in need. Summers assured them that would happen — without a guarantee. “There is a perception issue that, in certain communities, to make an investment is a riskier investment . . . [and] you need to be compensated more for that,” Summers said then. At the time, Summers said the city’s $100 million in seed money would be matched by “three times” that much in outside capital. No more than 20 percent would go to any one project. A seven-member board that includes the treasurer would select private managers who would be required to invest the money in low-income neighborhoods and census tracts covered by the Community Reinvestment Act. qualified census tracts all over the city,” he said. Under questioning from aldermen, Summers described the differences between the new so-called “fund of funds” administered by outside money managers who make investment decisions and the Infrastructure Trust he chairs that has been slow to get off the ground. The Catalyst Fund would have its own capital, with the city contributing the money in pieces through 2018. It would invest in taxable private projects with a mandate to turn a profit. “Large ideas should go through the Infrastructure Trust. But when there’s infrastructure tied to a development or tied to a specific revenue opportunity — or if it’s of a size that may be too small for the trust to take on — this [Catalyst Fund] would be a great opportunity,” he said. The $100 million in initial seed money also came from funds generated by the treasurer’s ability to double investment returns. But Summers has said there is an “additional backstop”: money generated by the sale of the Chicago Skyway and city parking meters that was supposed to be invested in “human and neighborhood infrastructure” but never was. “We can use that if, for some reason, we don’t continue to exceed returns,” Summers said. But it was likely to take “the better part of a year” to attract funding and start investing, he said. “No private investor wants to have a blind investment in something that’s viewed as a political fund or a pool of capital that’s controlled by politicians. They have to see that this is real . . . and that they’ll have an ability to get real market opportunities and returns,” he said. Last year, Emanuel blamed his dismal showing among African-American voters in a New York Times poll on “40 years” of disinvestment on Chicago’s South and West Sides. It could also help position Summers as Emanuel’s heir apparent should the mayor decide not to seek a third term. Meet the City Clerk at South Shore Chambers.